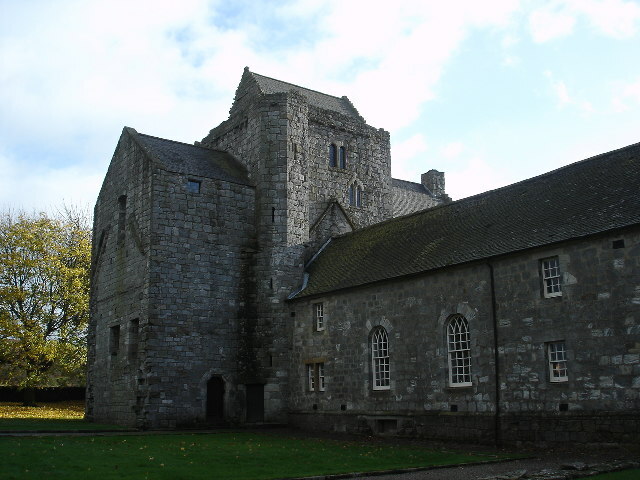 Either the Dominican friary, or perhaps the episcopal palace adjacent to the cathedral in Old Aberdeen, could have been the location for occasional meetings of the estates held in the city. Image © Chris Downer and licensed for reuse under this Creative Commons Licence. The large Tironensian monastery at Arbroath would have provided ample accommodation for visiting noble and clergy men, if indeed an assembly met here in 1320 to sign the famous Declaration of Arbroath. Either the abbey itself or one of its subsidiary buildings would have been able to hold a gathering of some size. Image © Anne Burgess and licensed for reuse under this Creative Commons Licence. The mid-12th-century castle of Old Eren is the likeliest venue for any assembly held here. Today the only trace of the castle, built in c.1180 by King William I (1165-1214), is a raised circular earthwork, topped by a later 17th-century dovecote. Image © Ann Harrison and licensed for reuse under this Creative Commons Licence. The tower is all that survives today of the kirk of St John the Baptist, where parliament assembled in 1315 to confirm the succession of the Scottish crown. The surrounding archaeological remains indicate the existence of an aisled nave in which a meeting of some size could have been accommodated. Berwick Castle is the likeliest venue for the meetings of the estates held here in the 14th century. It is claimed that contest for the succession of the crown – popularly known as the ‘Great Cause’ - was decided in John Balliol’s favour in the great hall of the castle, where the platforms of Berwick railway station now stand. Image © Euan Nelson and licensed for reuse under this Creative Commons Licence. Made famous for the parliaments where the marriage of the Maid of Norway to Edward, Prince of Wales was agreed, it is likely that these gatherings met in the open air, there being no record of a structure here which could have held an assembly of any substantial size. Image © Walter Baxter and licensed for reuse under this Creative Commons Licence. 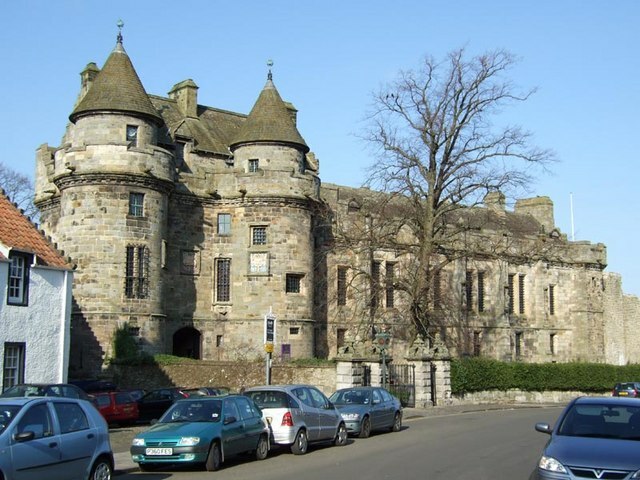 Its proximity to the royal residence of Stirling Castle is perhaps one of the reasons why the abbey situated at Cambuskenneth became an occasional venue for the estates. The nave or refectory would have been able to accommodate visiting parliamentarians in some numbers. Image © Tom Sargent and licensed for reuse under this Creative Commons Licence. One of the country residences of the bishops of St Andrews, it was at the site of the 16th-century Dairsie Castle, or the adjacent old parish kirk, that an assembly met in 1335 due to the presence of the Scottish leadership at the siege of nearby Cupar. Image © James Allan and licensed for reuse under this Creative Commons Licence. The Greyfriars Friary, adjacent to what is now the Howff graveyard, was an established meeting place for church councils and it may have been here that parliament assembled on various occasions in the 14th century. The later convention held in 1597 probably convened in the town’s tolbooth, situated in the High Street. Its impressive replacement, a classical-style Town House designed by William Adam and dating from 1731, is itself no longer in existence. Image of Dundee Tolbooth, demolished c1730's, from Slezer's Map of c.1678. Along with its strong associations as a place of royal burial, Dunfermline Abbey had a large complex of monastic buildings well-suited for accommodating visiting parliamentarians in numbers. The convention which met here in 1596 likely took place at the adjacent Dunfermline Palace, a favourite residence of James VI, of which only the south wall and kitchen now remain. Image © Paul McIlroy and licensed for reuse under this Creative Commons Licence. Known as the 'creeping-parliament', so-called because the attendees had to dodge shot from the guns of Edinburgh Castle then under occupation by Mary Queen of Scots’ adherents, a thinly-attended assembly convened in the Canongate in 1571. An exact location is not known beyond the fact it was said to have taken place west of the boundary marker of St John’s Cross and symbolically, therefore, within the city walls of Edinburgh. Image © Bob Jones and licensed for reuse under this Creative Commons Licence. As a royal stronghold and the repository of government records, the castle was a favoured early location for meetings of parliament. The multi-functional great hall, used for ceremonial feasting and investitures, could easily have doubled-up as suitable accommodation for councils or parliaments. Image © Colin Smith and licensed for reuse under this Creative Commons Licence. Britain’s first purpose-built legislature, Parliament House was completed in time for the 1639 parliamentary session. Except for those instances when the estates fled the capital due to war or disease, it was parliament’s permanent home from then onwards until the union of 1707. It now forms part of the complex of the Scottish courts of justice. When the old tolbooth next door became increasingly ruinous, the nave of St Giles’ was called into use as a multi-purpose tolbooth, parliament chamber and accommodation for the justice courts. A dividing wall was erected cutting off the western end from the rest of the building, and it was in the central aisle, from 1563 until the completion of a purpose-built chamber nearby in 1639, that the estates held their assemblies. Image © Dave Hitchborne and licensed for reuse under this Creative Commons Licence. The tolbooth was the most regular meeting place for parliaments from the reign of James II (1437-60) onwards, until the structure began to fall into disrepair. The 1560 Reformation Parliament was the last to be held here. What remained of the original structure, subsequently repaired and enlarged into the city’s gaol in the 17th century, was entirely demolished in 1817. Its location is marked today by copper setts inlaid into the road surface. A favourite royal residence and hunting lodge of successive Stewart monarchs, Falkland Palace also served as the occasional venue for meetings of the estates, who would have assembled in the great hall or the king’s own private chamber. If an assembly indeed met here in 1299, it was probably attributable to the Forest of Tor being an established royal hunting ground. The later Torwood Castle, dating from around 1566, was the home of the Forrester family, hereditary keepers of the forest. Its location may have been the site of an earlier structure. Image © Nigel J C Turnbull and licensed for reuse under this Creative Commons Licence. The location for meetings of the king’s daily council, and perhaps a parliament in 1384, may have been Glasgow Cathedral, built on the site where St Mungo was thought to be buried, or the chanonry or episcopal palace which both stood adjacent. Image © W F Millar and licensed for reuse under this Creative Commons Licence. The Cistercian nunnery of St Mary, possibly sited a mile or so from where the ruin of St Martin’s Kirk now stands, was the location for the signing of the famous Treaty of Haddington (1548), which settled the marriage of Mary Queen of Scots to the Dauphin of France and promised French assistance to repel the English. Apart from St Martin’s Kirk, which would have stood within the western gateway of the precinct of the nunnery, no other trace of the original structure survives. Image © Lisa Jarvis and licensed for reuse under this Creative Commons Licence. The Augustinian abbey, now lying in ruins, was the frequent location for many early assemblies, which sat either in the church itself or in the adjoining domestic buildings. The adjacent royal palace, constructed by King James IV (1488-1513) and improved on by successive monarchs, held numerous conventions in the late 16th and early 17th century, but its use as an assembly place declined after 1603 when James VI left for London. In later years, however, when parliament assembled further up the High Street, the royal apartments were used by various attending noblemen on a ‘grace-and-favour’ basis. Image © Richard Law and licensed for reuse under this Creative Commons Licence. At least two councils were held in Inverkeithing in the 14th and 15th centuries. Possible locations for these meetings may have been the Franciscan convent established in the burgh around 1350 (the friary guest house still survives today and houses a local museum), or the parish church of St Peter’s, much altered but with a western tower dating from the 14th century. Image © James Denham and licensed for reuse under this Creative Commons Licence. If an assembly of the estates did indeed convene here in the 14th century, Lochleven Castle, one of the established royal strongholds, may have been a likely location. The site of the first recorded meeting (referred to as a ‘colloquium’) of the Scottish Parliament in 1235/6, Kirkliston was originally a small village which grew up next to the main highway running west from Edinburgh. The exact location of this assembly is not known. The parish church, with parts dating from the 1100s, could have been a possible venue. Tradition holds that King Kenneth II (971-995) held the first meeting of the Scottish parliament here in 978. The later assembly that perhaps met here in 1294 may have taken place at the castle, a wooden structure of which no trace now remains. A commerative plaque marking the site is situated on the castle mound, now in use as a bowling green. A convention met in 1572 in the recently completed Leith tolbooth. The original structure, dating from c.1565, was demolished in 1819 but it gave its name to Tolbooth Wynd, a main thoroughfare running down to the shore. A heraldic plaque from the original building, the only remnant of the structure, is incorporated into the porch of the nearby South Leith Parish Church. The royal residence here, destroyed by fire in 1424, may have been the venue for earlier meetings of the estates, or perhaps the old parish kirk of St Michael, also consumed by the same fire. Assemblies held in the town in the 16th century would have convened either in Linlithgow Palace or in the tolbooth, with its impressively tall campanile, which was destroyed by Cromwell’s army in 1650. Its location was where the replacement Town House now stands. Image © Paul Taylor and licensed for reuse under this Creative Commons Licence. A convention convened at an unknown location here as the Scottish elite and their army progressed to face the invading English army at Musselburgh, culminating in the Battle of Pinkie Cleugh on 10 September 1547. In 1320 an ecclesiastical building - Newbattle Abbey - was put to use for a political assembly, a consequence of the particular requirements for space such a gathering necessitated. The current 16th-century house stands on the site of the 12th-century Cistercian abbey, founded by King David I (1124-1153). It is likely that it was at the council held here in 1320 that the king and his nobles discussed the creating of the Declaration of Arbroath. Image © Richard Webb and licensed for reuse under this Creative Commons Licence. Perth was a frequent location for parliaments – which convened at the town’s Blackfriars monastery and, latterly in the 17th century, the new tolbooth – until the assassination of James I there in 1437. After which, the once-favourite residence of early Stewart kings fell out of favour in preference of locations south of the Forth. The now-ruined Augustinian priory is the most likely location for the assembly which sat here in 1342. Although substantially damaged by fire in the Wars of Independence, Robert Bruce provided for the rebuilding of the priory, enlarging and improving on the original structure. Image © Karen Vernon and licensed for reuse under this Creative Commons Licence. The traditional crowning place of Scottish kings, the implicit royalty of the location may have influenced the decision to make the Augustinian abbey (where Scone Palace is now situated) a seat of parliament. On occasion sessions were held out-of-doors on the Moot Hill. Image © Stephen Samson and licensed for reuse under this Creative Commons Licence. The university library, now known as Parliament Hall, was the location for the parliamentary session held here in the winter of 1645-6, but earlier meetings which convened in the town may have taken place in the bishop’s castle, the Augustinian priory or the now-demolished tolbooth, which stood in the east end of Market Street. The great hall of Stirling Castle was likely used for early meetings of parliament (and also for the sessions of 1578 and 1645), but later meetings largely met in the town’s tolbooth. This was clearly in a dilapidated state when parliament met here in 1571, since it is recorded that the five-year old King James VI pointed to an opening in the roof and remarked, ‘I think there is ane holl in this parliament’. The tolbooth which stands today on Jail Wynd is a later replacement structure, completed in 1706. Image © Alan Burke and licensed for reuse under this Creative Commons Licence. The preceptory of the Knights Hospitallers of the Order of St John of Jerusalem, situated in the village, would have provided adequate accommodation for an assembly, if one was indeed held here by William Wallace in 1298. Image © Paul Birrell and licensed for reuse under this Creative Commons Licence.